New York Fashion Week begins Feb. 7. You can enjoy the Big Apple’s budget-friendly attractions with a glamorous spin. New York City is notoriously expensive, but many of the city’s top destinations don’t require an admission fee. Fashion’s hottest designers and models are heating up New York City for Fashion Week 2019. Beginning Feb. 7 and running through Feb. 15, the city’s exclusivity ramps up in the name of style and fashion. But if you weren’t able to score front-row seats to NYC Fashion Week or get invited to a swanky party, you can still revel in the glamour with cheap things to do in NYC. 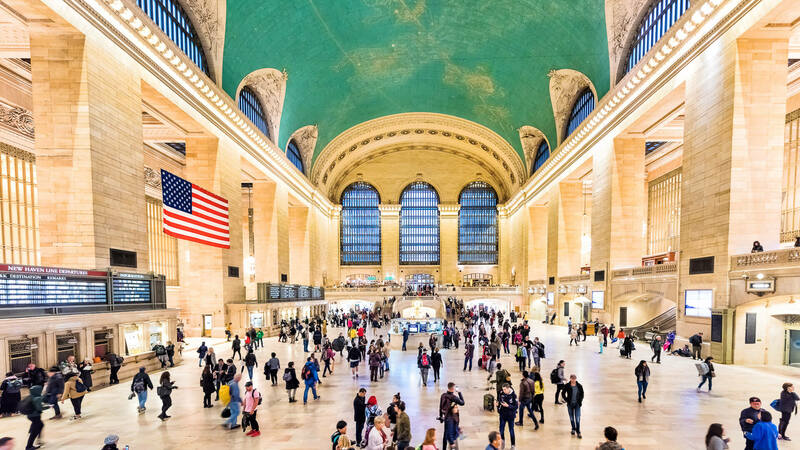 Located in the heart of Midtown Manhattan, Grand Central Terminal is the second most visited destination in New York City, and you can thank Jacqueline Kennedy Onassis, one of New York City’s most glamorous and fashionable women, for saving the structure from being demolished in 1975. More than a transportation hub, Grand Central is a destination for fine dining and luxury shopping. Aside from the building being an engineering and architectural marvel, the ceiling of the main concourse is the real draw and depicts the zodiac with gold leaf painted constellations and 2,500 twinkling stars. But when visiting to stare at the gorgeous ceiling, try to the avoid weekday rush when 267,000 commuters are dashing to and fro from the Metro-North line. And for a touch of glamour on the cheap, stop by the Grand Central Oyster Bar, where you you can get oysters for $1.35 each and martinis for $9 during happy hour. 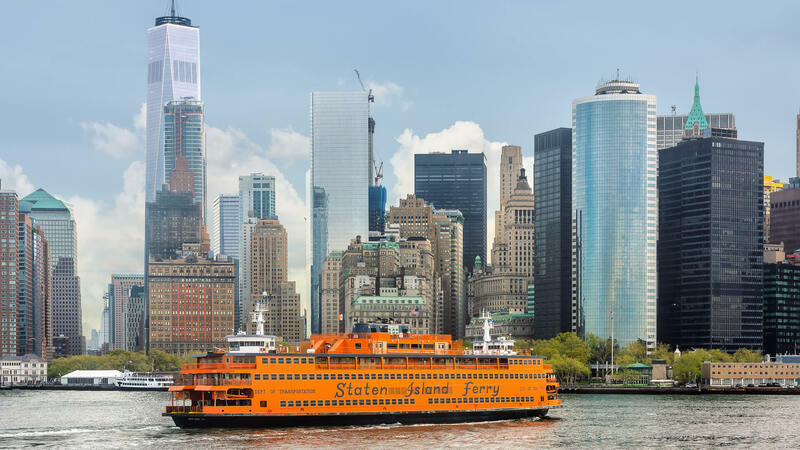 It’s not a private yacht, but you’ll be hard pressed to find a cheaper boat ride in New York City than the Staten Island Ferry. Tourists can board in Manhattan or Staten Island and cruise on New York Harbor to take in views of Lower Manhattan, the Statue of Liberty and New Jersey — all for free. Tip: Take a glamour shot with the Manhattan skyline in the background during sunrise or sunset. Bryant Park is adjacent to another New York City landmark, the New York Public Library, and is lively year-round with a winter village and holiday market, an ice skating rink, a carousel and free classes on everything from yoga to juggling. 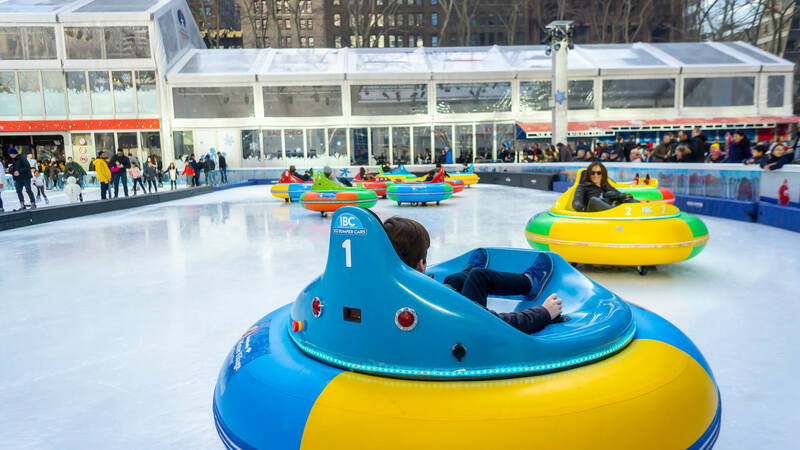 This winter, New Yorkers went wild for bumper cars on ice, and due to popular demand, the cold weather activity was extended to Feb. 24. For $15 a ticket, you’ll get 10 minutes of sliding, bumping and spinning in the heart of Manhattan. While you’re at Bryant Park, try to get a sneak peek at the designers and fashion insiders who will be gathering at the NYFW Kickoff Party at the Bryant Park Hotel’s Celon Lounge on Feb. 9. 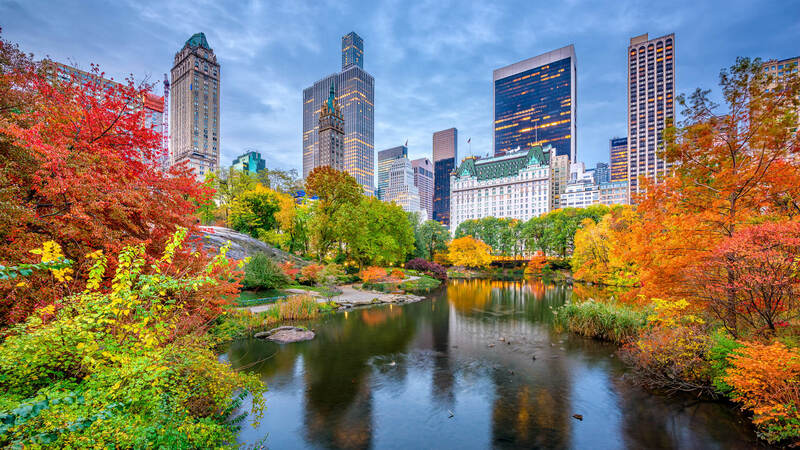 No visit to New York City is complete without a visit to Central Park. There’s no shortage of attractions, statues and monuments to see in the park’s 2.5-mile-long and 0.5-mile-wide expanse, but the cheapest way to see it all is by foot on a self-guided walking tour. If the city’s winter chill is too much for your liking, duck into Tavern on the Green, an iconic old-world restaurant located on the park’s west side, and cozy up by the fire. You can also stroll over to the Plaza Hotel at Central Park South for an elegant tea experience at the Palm Court. Save money by ordering the $60 Eloise Tea over the $94 afternoon tea. Even though the Eloise Tea is for children, adults order the Eloise Tea all the time. On gridlock days, skip the subway and rent a Citi Bike. 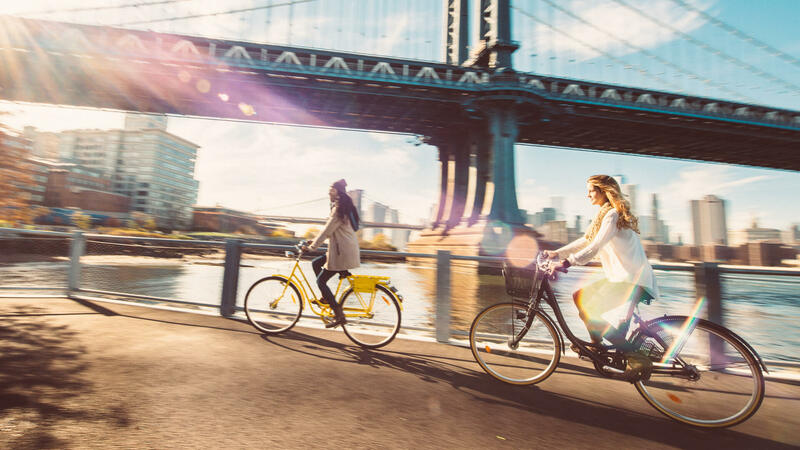 For $3 for 30 minutes or $12 for a day pass, riders can rent one of 12,000 bikes conveniently stationed throughout Manhattan, Brooklyn and Queens. If you find the level of traffic congestion intimidating, hit one of the city’s paved pathways and explore on your own. NYC is home to Brooklyn’s Ocean Parkway, the country’s oldest bike path, and modeled after the grand boulevards of Europe. When you need a break from the glamour and need a taste of the real New York, head over to the Bronx’s Arthur Avenue. It’s a bit of a hike from Midtown Manhattan, but if you’re after Italian fare, swipe your MTA card and ride uptown to Arthur Avenue for $2.75. The neighborhood is far more authentic and less commercialized than the tourist trap that is Little Italy. 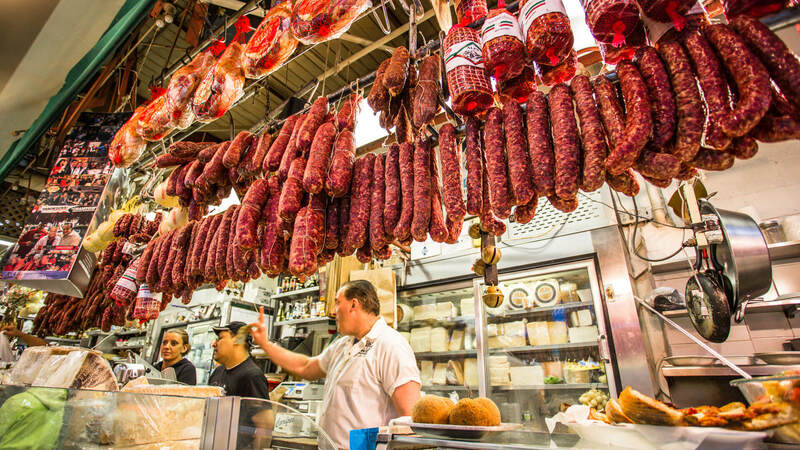 You can pretend you’re walking through a Roman piazza and get drawn in by the smells of specialty bread, pasta, meat, pastry, espresso, Italian sausage, produce and flowers. Don’t miss the affordable spring break destinations you need to book now. You can enjoy cheap travel to Miami Beach and other warm places.